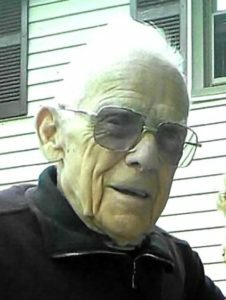 Shrewsbury/Grafton – Edwin W. Morse Jr. passed away Friday, April 22, 2016 at UMass Memorial Medical Center – University Campus in Worcester at the age of 89. His first wife, Doris (LaBossiere) Morse, died in 1989 and his second wife, Madelyn (Kneeland) Morse, died in 2010. 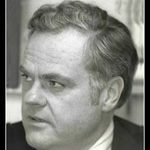 He leaves his son, Jeffrey Morse and wife Maureen of Falmouth, and his daughter, Linda VanCamp and husband Kenneth of Charlton. He was predeceased by his daughter, Bonnie Mercurio (Joseph), who died in March of this year. He also leaves three grandchildren; three great-grandchildren; one great-great-granddaughter; and one sister, Phyllis Chapdelaine of Northborough. A brother, Leon Morse, and his sister, June Cooksey, preceded him in death. Born in Worcester, son of Edwin W. and Ethel (Winchester) Morse Sr., he was raised in Northborough, living his adult life in the Grafton and Shrewsbury area. He was a devoted family man. After serving his country in the Navy during WWII, Eddie worked as a welder for 43 years at Wyman-Gordon, Grafton plant, retiring in 1989. He was a member of the Baptist Church of Grafton, and was an avid Red Sox, Patriots, and Celtics fan. He also bowled for many years at Sawyer’s in Northborough. Calling hours were held April 25 at Hays Funeral Home of Northborough. Burial with military honors will be held at a later date in Howard St. Cemetery. In lieu of flowers, memorial donations may be made to Baptist Church of Grafton, 1 South St., Grafton, MA 01519.